Former Street Fighter champion and ex-Capcom staffer Seth Killian has revealed an interesting new project. Rising Thunder is a new fighter from Radiant Entertainment, the studio founded by the two brothers behind EVO and Shoryuken. Killian has come on board to lead the project, which takes an unusual approach to the genre: high power moves can be performed with single button presses instead of combos. Speaking to Kotaku, Killian said he wanted to make a fighting game without the accessibility barrier of complex controls – thereby exposing the real skills at the heart of competitive fighters. “When you look at the essence of fighting games, the core elements of the game – not the upper-level, really-advanced-player stuff – is locked behind this huge execution wall,” he said. “You have to grind, basically for six months. Depending on your level of natural dexterity, free time and things like that, you’re looking at one month, six months, a year to just become totally proficient with the basic moves of the game. Fireballs, uppercuts, that kind of thing. Basically, at that point, once you become proficient at those kinds of things, then, now, you are playing fighting games. The full article contains further discussion on this theme as well as mechanical explanations of how gameplay will work, and it’s fascinating stuff. I especially enjoyed the anecdotes about “bad” players who turn out to be winners once they can focus on the psychological and tactical aspects of fighting games. 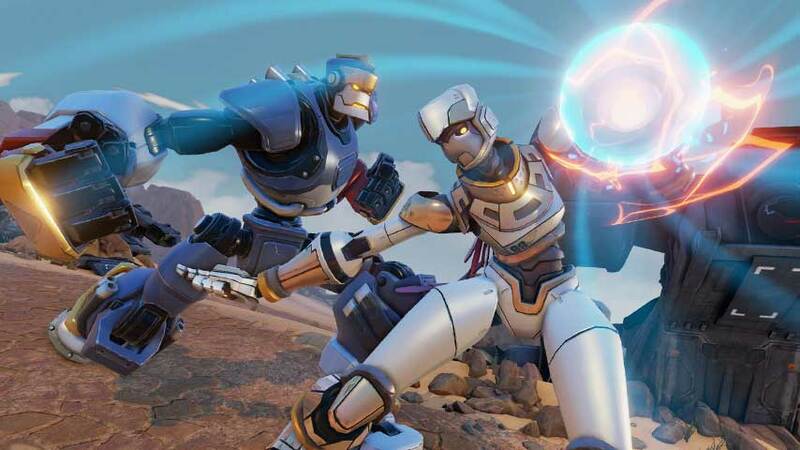 Rising Thunder is a PC exclusive being built to focus on online play first and foremost, and will be free to play with cosmetic microtransactions. No release date yet, but below you’ll find the teaser trailer shown at EVO 2015, courtesy of Gamespot, as well as two gameplay videos direct from Radiant.